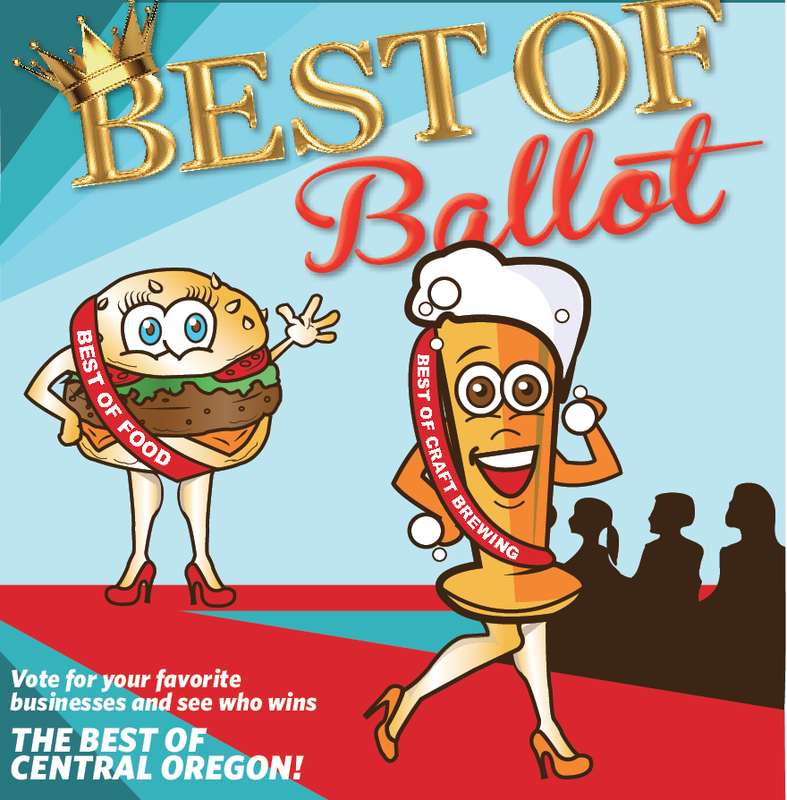 Vote here for the 2014 Best Of Central Oregon! Help us select the region’s “Best Of.” Fill it on now in our print edition, or submit your choices online. Here are the rules: 1) Return your (paper) ballot by 3 pm. on Tuesday, July 15 (if snail-mail, postmarked by July 14). 2) Enter only once. 3) Use an original ballot or online submission. No photocopies or faxes will be counted. 4) Provide at least 25 answers. 5) Include a name and email address (no name=no vote). Don’t be a ballot box stuffer. Readers may nominate the same business in no more than three categories. Trust us, we will toss out any “over” votes. We encourage readers to cast their votes online at bendsource.com. Results will be published in our Aug. 13 Best of Central Oregon issue.